Much food for thought and helpful in thinking about our path forward. Every river has a name. However, these names disappear when they flow into the great ocean. 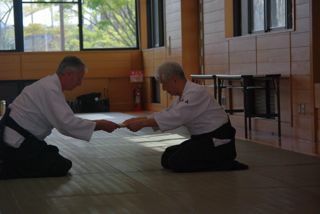 Aikido has many styles, many names, but Aikido is Aikido. It is my vision and hope that, like the rivers, they flow together and unite as one.